In 1986 Graeme began his career in construction as a trainee working directly under former owner and Managing Director, Mr Randall Orchard. Experience was gained across the spectrum in construction with particular strengths picked up in surveying, development and building management. Graeme was admitted into the Chartered Institute of Building in 1996 after completing his studies at the University of Northumbria. Many years of commitment to the company lead to a structured buy out of the business in 2004 by Graeme and his wife Jo. Modernisation of this traditional company has continued whilst the core values and strengths have been maintained. An understanding of managing the build process and close communication with clients has underpinned his approach to running the business. 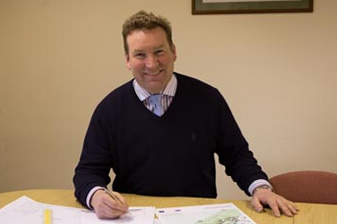 Graeme is a keen supporter of many sporting and community organisations and is fundamental to Richmondshire Rugby Club. Anne holds a BSc in Construction Management obtained from the University of Northumbria. Anne gained this first class honours degree while working full time. 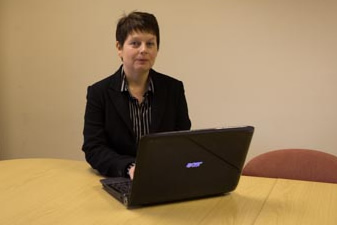 Anne joined the company in 2000 initially as a contracts administrator. This has developed into the role of Contracts Manager managing projects from £50,000 to £4,000,000. Anne is an incorporated member of Chartered Institute of Building and has a particular interest in Construction Law having taken a postgraduate course in that subject. Anne’s interests include walking, cycling & running. Darragh joined the Randall Orchard Construction Team as an apprentice and continues to impress with his enthusiasm and work ethic. He has a number of years’ experience within the company and has completed his HNC in Building Studies and has recently obtained his SSTS. A seasoned professional with many years’ industry experience and strong attention to detail, Mike is able to ensure that each of his projects run effectively. Robbie brings a wealth of experience to Randall Orchard Construction. With many years ‘know-how’ his knowledge base is expansive and work ethic legendary. Joe a bricklayer by trade joined Randall Orchard Construction in 2014, he continues his individual development within a team environment. Joe successfully completed his under Graduate HNC in Building Studies and has recently obtained his SSSTS. Kevin joined us in 2007 as a Groundworker. After a number of years hard work and a desire to move up the ladder Kevin joined our Team of Site Managers and enrolled on an HNC in Construction. Kevin has proved to be a dedicated member of our team. Paul recently joined our Team of Site Managers. Having worked for another local company for many years Paul brings with him a wealth of knowledge and considerable Site Management experience. Ben recently joined David in the drawing office and is studying at Durham College to achieve is Construction Contracting qualification. Allison, Christine and Emma provide administration and accounts support throughout Randall Orchard Construction, please call 01748 824145 for information and assistance. To receive our newsletters please add your name and email address.